The chief executive of a port authority under fire in the Scottish Highlands has denied an alleged conflict of interests over companies he’s involved with. Bob Buskie is chief executive of Port of Cromarty Firth, a major deep-water port at Invergordon serving Scotland’s oil and gas industry. Concerns have been raised over 11 sub-companies he’s set up since taking up his position in 2013. Cromarty Firth Port Authority was created in 1973 by an Act of Parliament as a trust port to support the oil and gas industry. Trust Ports are required by law to be managed by an independent board for the benefit of its users and the local community. They have no shareholders or owners, and profits must be reinvested. Modern Trust Ports Scotland Guidance for Good Governance – published by the Scottish Government in 2012 – provides a code of best practice for trust ports in Scotland. Core principles of the guidance aim to encourage an “open and accountable” relationship between ports, their users and local communities. One of the 11 trading companies set up by Buskie is Port of Cromarty Firth Services Ltd, a firm which can compete with companies already working at the port by offering services such as lifting, cranes, stevedoring and warehousing . While the establishment of the 11 firms was perfectly legal, concerns have been raised over Buskie’s involvement while he is CEO at the Port. He is an officer with six of the 11 new firms incorporated since 2013. Global Energy Group (GEG), a company head-quartered in Inverness that operates at the port, said that neither Lerwick nor Aberdeen harbour authorities – both created as trust ports for local stakeholders – have any “subsidiaries or satellite enterprises set up to capture business by moving into harbour support operations”. GEG said that this contrasts with the emerging approach of the Port of Cromarty Firth, which the firm understands, has now incorporated a number of new companies to supply cargo handling, craneage, shipping agency and other services. However, in response Buskie denied any conflict of interests and said the port’s growth strategy had been successful in attracting both local and international companies. He said: “This includes companies like Semco Maritime and Rigmar, who have helped to offer more choice, bringing in new clients and employing local labour. Our growth strategy also involves setting up new companies or joint ventures to offer additional services to clients. Buskie explained that the Cromarty Firth Port Authority has a representative on the board of each of the companies to “develop the business strategy and protect our investments”. Other board members are chosen to participate on the basis of their skills and experience, Buskie added, explaining that private investors are selected on their “preparedness to make equity investments, proven entrepreneurial background and having the necessary skills and experience required to successfully grow the business”. Any surplus accruing from these new companies and joint ventures is reinvested in the Port, with a view to “continually improve facilities and create more jobs”, Buskie said. He added that most of the companies set up by the port have not yet traded, so they are actively seeking out new opportunities and markets, which should create new jobs locally. Buskie continued: “For example, as part of the process of opening up competition we now have five separate crane operators – Weldex, Stoddarts, James Jack, Global and Port of Cromarty Firth Services – offering choice and competitive services to clients. Martin Brayshaw, managing director of Port of Cromarty Firth Services, also said there were no conflict of interests adding that Buskie has no control over the business. Brayshaw said: “Port of Cromarty Firth Services Limited is a joint venture (JV) between the Port Authority and two individuals (I am one of those individuals and hold a 25 per cent interest in the business). The Port Authority holds 50 per cent of the equity but has no control of the business. The Port Authority board has the right to appoint two directors to the four man board of the JV. “The port authority has appointed Mr Buskie as one of its representatives on the board of the JV. The JV board has appointed Mr Buskie as its Chairman – the chairman does not have a casting vote. I am the only executive member of the board, all others are non-executives and have no day to day involvement in the business. The port has been embroiled in controversy recently after lodging an application for a licence to allow ship-to-ship oil transfers at sea in an area of the Moray Firth famous for bottlenose dolphins, porpoises and Minke whales. Environmental campaigners and local communities who oppose the plan say there’s the potential for oil spillages which could have a devastating impact on the marine environment. Cromarty Rising, a protest group campaigning to prevent ship-to-ship oil transfers at sea, said it was aware that a number of sub-companies had been set up. 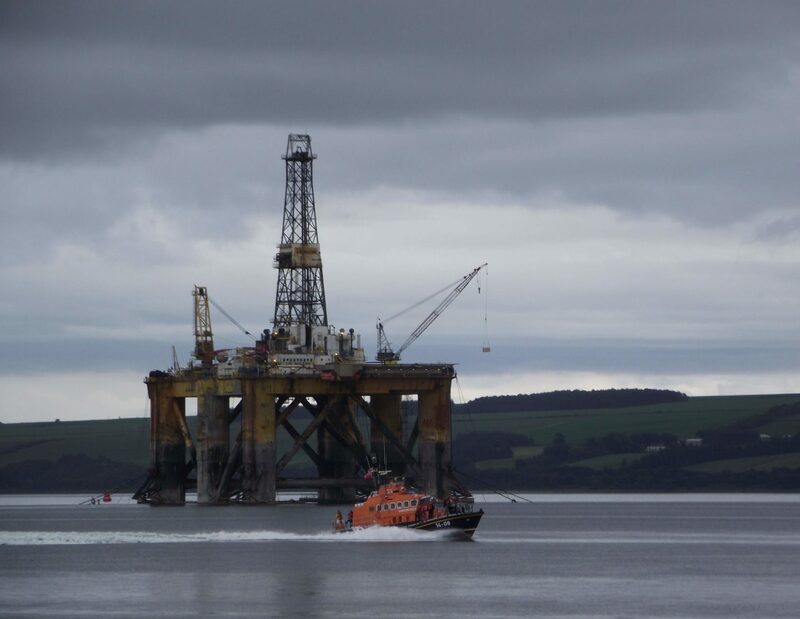 A spokesperson for the group said: “We have previously been made aware of the Port of Cromarty Firth’s sub-companies and allegations of anti-competitive practice have been made to Cromarty Rising. “Our sole interest is to stop the port’s proposal for ship to ship crude oil transfers in the open waters of the inner Moray Firth. “We believe this will have devastating consequences for the marine environment and communities surrounding the firth. We firmly believe that if these transfers have to be undertaken then Nigg Jetty is a safer place to do so. “If the alleged conflicts of interest have in any way affected the rationale for the relentless perusal of the ship to ship licence, in the face of overwhelming public opposition, then we believe this should be subject to detailed public scrutiny either by the Scottish Government or independent enquiry. A Transport Scotland spokesman said: “Individual trust ports may be empowered to create subsidiaries or joint ventures as set out in their local legislation and it is their responsibility to ensure that they are working within their existing powers.